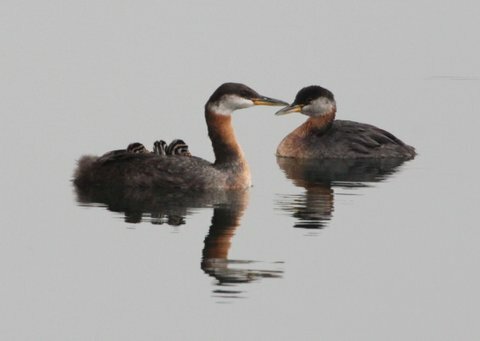 If you and your kids made a nesting box at the Bird Festival for installation on the Toronto Islands, you may want to make one at home for your garden or country property. 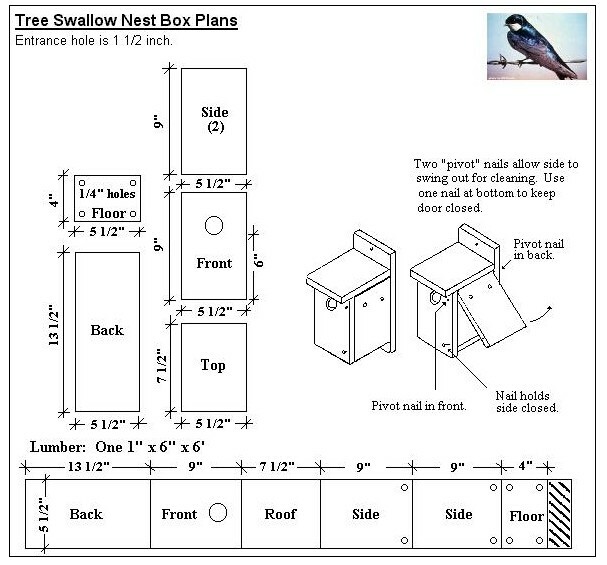 Boxes are easily made from a 6' X 6" X 1" pressure treated board ($3 at Home Depot) and construction plans are available at http://www.coveside.biz/tree-swallow-house-plans.htm The clean-out side panel should be secured with a small screw to deter vandalism. Boxes should be placed facing any direction other than north and at about five feet. This would make a great school or interest project to do with your kids. Nesting boxes need to be cleaned out and sterilized with a white vinegar/water spray before every season. 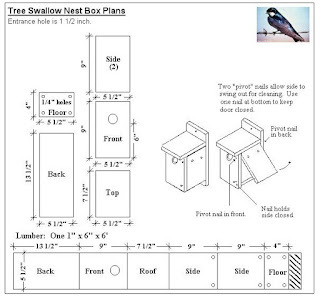 A nesting box with these dimensions and this sized entrance hole is good for tree swallows, song and house sparrows and, if you're lucky, maybe even a Bluebird!.